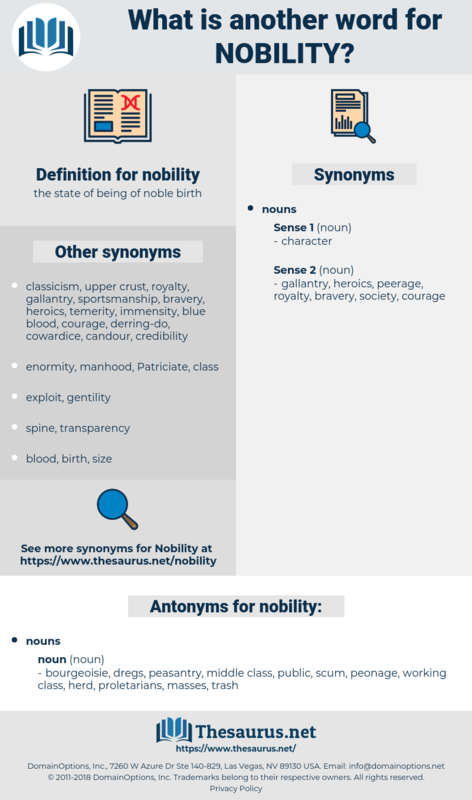 What is another word for nobility? bourgeoisie, dregs, peasantry, middle class, public, scum, peonage, working class, herd, proletarians, masses, trash. 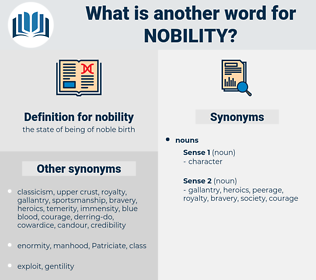 The nobility of the humble family from which he sprung was derived evidently from this source. I include not, as you may suppose, in this general character, some of the nobility and officers, who having travelled, are polite and well informed. nameplate, nephelite, novelette, nanovolt, nuffield, nymphalid, novelty, novillada, ninefold, nine-fold, Non Vult, nymphalidae.